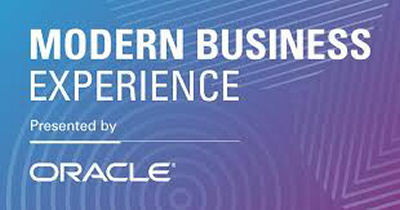 Our Part Two commentary explored MBX’s common themes for Oracle and conference attendees. In this update, we update our readers on new customer adoption milestones and developments for various application offerings within Oracle SCM Cloud. With each of these Oracle process specific conferences, development executives provide specific updates on product suites. Rick Jewell, Senior Vice President of Oracle SCM Development anchored the keynote: Tomorrow’s Supply Chain Today, which Jewell calls the State of the Union of Oracle SCM. Reported was that there are currently over 2400 customers in various iterations of adoption of SCM Cloud applications. That is a doubling of last year’s totals. 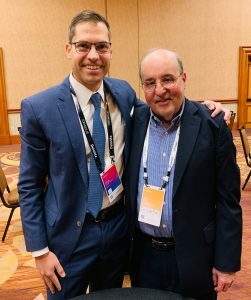 Both Jewell and SVP of Applications Development Steve Mirada pointed to an acceleration of SCM adoption coming from Oracle Cloud ERP customers, after initial implementations of backbone Cloud Financial Management, Inventory, HCM or Procurement applications. Customer adoptions continue to range from innovation of Edge systems, specific line-of-business or divisional modernizations or full all-in Cloud upgrades. Currently in the pipeline for 2019 quarterly release are Project-Based Manufacturing and Supply Chain and Process Focused Manufacturing Support for specific byproduct and coproduct planning and scheduling needs. Jewell stressed that the process application is designed to run parallel with discrete manufacturing process manufacturing needs in areas such as consumer products, food and beverage and other dual-mode manufacturing needs. Also, due to be released is a dedicated Healthcare supply chain management application. Channel Revenue Management including support for subscription-based revenue management, along with support needs for various aspects of field service logistics support are part of the 17B Release. Supply Chain Matters previously highlighted the prior release which leverages Oracle Integration Services to link process and decision making among Oracle WMS Cloud, Oracle Inventory Management Cloud and Oracle Transportation Cloud. That release enhances the ability for Oracle ERP Cloud and Oracle SCM Cloud users to implement more-rapidly source-to-settle and order-to-cash information flows to improve business responsiveness. The upcoming 2019 release adds Internet Of Things enabled capability that provides WMS Cloud and Yard Management Cloud real-time visibility to soon to arrive shipments allowing the software to automatically link pre-scheduled appointments with arriving vehicles, direct trucks to either a designated yard parking area, or directly to an available dock door if a door is available, all with notification to warehouse workers of real-time visibility to inventory in the yard or at the dock. This is a very cool application of an IoT enabled process beyond just a platform, and rather to an extension of an integrated process.